On Saturday, September 10th, at 9:00AM, join The Dimock Center, HoodFit, the Boston Athletic Association, and people from surrounding communities for The Road to Wellness 5K Walk/Run. Kicking the day off with our Walk/Run, The Road To Wellness offers a day of fun and fitness that promises to inspire your mind, body and spirit. It’s a day to celebrate our community’s rich historic roots while taking advantage of some great health and fitness resources, music and community activities. Join us after for The Health and Fitness Pavilion presented by Tufts Health Plan. Visit www.roadtowellness5k.com for more information and join us for trainings in June! 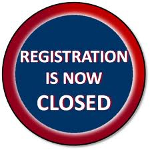 Online registration has closed, but you can register on race day! Beginning at 7:00am at the Dimock Center. Please allow enough time to arrive and be ready for the 9:00am start. Please visit https://www.roadtowellness5k.com/about-the-event/ for additional information.